Over the last six weeks I’d been looking for a second horse to ride. 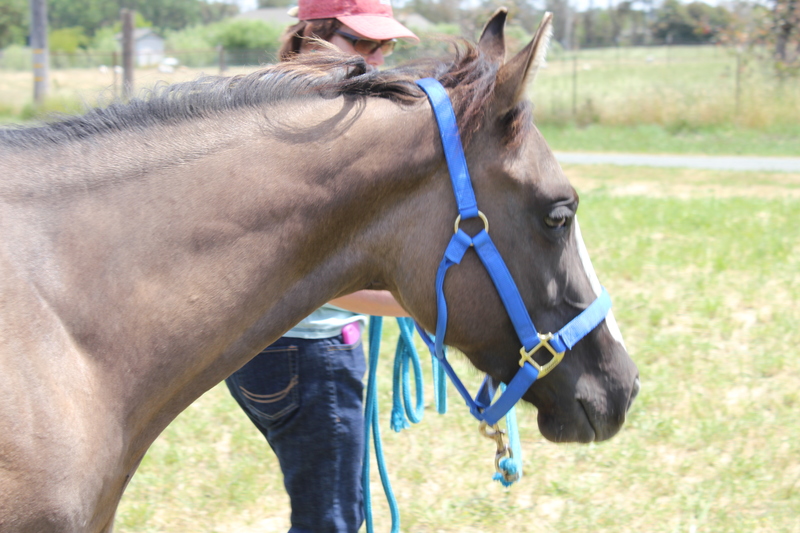 Annette and Sandy were traveling around with me while we looked at horses in Northern California. (Sandy is still in the market for a new horse.) My goals were to find a solid, well broke, very dependable 2nd horse–not too old, nor too young– that my sister Melissa, or friend Annette could come ride with me. Or maybe Suzanne, Linda or Sue would ride. I’m tired of riding Willa alone. There’s only so much conversation Willa and I can carry on without boring each other. It’s the disposition and “brains” between the ears that means the most to me when I’m looking for a new horse. Next in line is good feet and legs along with a pretty head. A gorgeous eye and balanced conformation helps too. All in all Lynnie/Gracie, or whatever her barn names turns out to be, best fit what I was looking for. So Kevin consulted some friends and then negotiated a price with Bill. He bought her for my birthday, even though it’s still a few weeks away. I swear since I first saw her on April 30th she’s already grown a lot. She’ll have most of the summer off for growing time. In the mean time, she loves being out in the pasture with Willa. 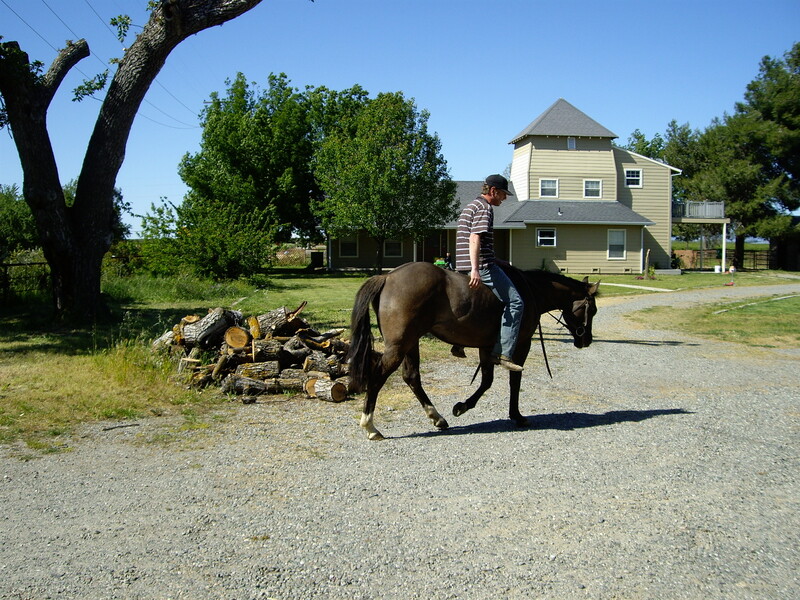 This entry was posted in authors, California Writers Club, farming, Horses, Kids' stories, Ponies, riding, Sonoma County, Writers and tagged AQHA. Bookmark the permalink. So thrilled for you!! Let me know when you ride down toward SR ~ I can usually go out and would love to ride with you again and keep you company! Best of luck with your new buddy! So happy for you! Better to get something young and sane to break yourself than something older with issues. She’s super cute. Can’t wait to hear more about her. Yes, so many we looked turned out to be green broke 6, 7, & 9 year olds. If I’m gonna’ put time on one, it might as well be one I really like. This is lovely news for you and for Willa…a playmate for both with some hard work thrown in? Kevin is a true love, that’s for sure. Have you considered keeping him? Oh yes, of course Kevin will still be around. We’re coming up on our 30th anniversary next October. She’s lovely! I love the kid proof part. Not easy to find. Thanks, Sonja! Yes, she’s a love. Actually I know Leigh Anne. She and I are both in the Redwood Writers branch of the CWC. She’s been doing such a good job of promoting your eBook that I downloaded it as one of my 1st purchases on my new Kindle. It’s on my list of “to read,” but have a couple of Kid Lit books in line 1st, since I write for kids. Yes, I’ve heard all about you two growing up in Texas, etc. Have tried to get Leigh Anne to one of our trail ride club meetings to get her ba connected w/ horses & horse people again, but she’s a busy gal. Even met your mom at a Redwood Writers Odd Month Reading last summer. Good luck w/ the ocean rowing! I’m finishing up reading “Treasure Island” (again!) on the new Kindle. Had forgotten how exciting that ocean going story is for kids and adults. OK, everyone, looks like the filly’s name is now Gracie. That got the most positive results from the family, so “Gracie” she is. Gracie is a perfect name. I’d vote for that too. What a darling it seems she is. Congratulations. I loved riding as a kid, not so much now, but I shall enjoy reading about your adventures. Thanks, Deborah! She’s a gem. Gracie is a lucky horse to have found such a loving home. I look forward to meeting her and I’m happy for you Robin! Thanks, Mickey! How’re the doggies? Robin, Good for you to be back in the saddle again. Hay that would make a good song. See you next week. Thanks, Terry! Yes, I’m anxious to get back in the saddle. Unfortunately, I won’t be able to go to LaMar next week. Kevin is going though. The last meeting was so hectic I didn’t have time to ask about your new critter. Beautiful! Can’t wait to ride with you again! Sounds like she is perfect! Like she’ll be another Joe (only a mare of course). Do anything and everything willingly and with a bit heart. 🙂 So happy for you.